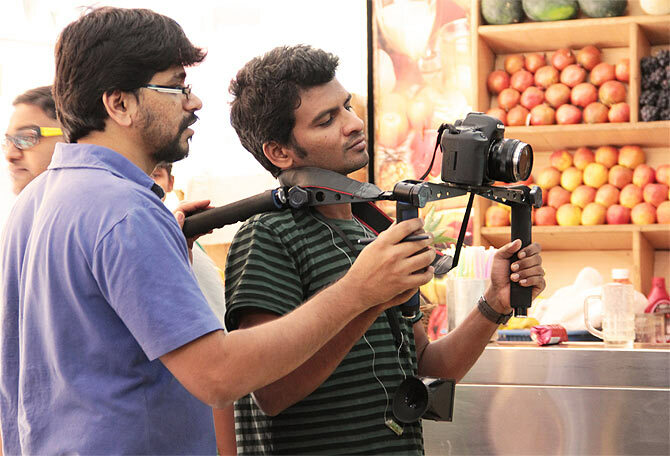 Siddhartha Nuni, the cinematographer of the first crowd funded cinema in Kannada, Lucia, is a youngster with many interesting experience. After graduating from IIT-Madras, he spent a year working as a risk analyst in the banking sector. 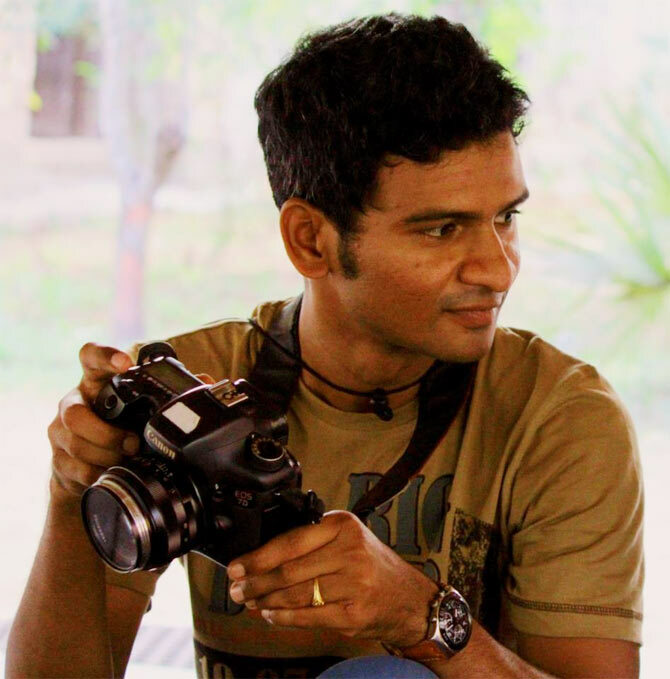 Passion for cinema and visual storytelling took him to Rajeev Menon’s Mind Screen Film Institute in Chennai. Here he was lucky enough to work with the visual effects team of the Oscar-winning Life of Pi, which he describes as a life changing experience. He talks about his journey and filming Lucia on a meager budget of Rs 51 lakh and the challenges that came with it. 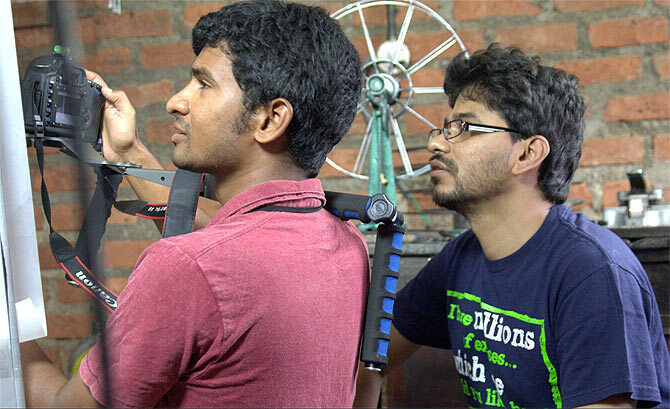 From IIT-Madras to cinema! What prompted you to take the plunge? I was passionate about films and actually wanted to direct. I performed with the IIT-Madras theatre group and other theatre societies. I was looking out for options then. I realised that cinematography is something that is exciting and interesting and also close to my education because cinematography requires a lot of technical know-how. I cleared the entrance exam at Mind Screen and got in. How was the experience at Mind Screen? It was a short course, just six months. One of the requisites of joining Mind Screen is that one has to have a science background. That was an advantage for me. I could learn things very fast. So, six months was good enough time for me to understand cinematography, though not in its entirety. Rajeev would tell us to go and learn on the job. The know-how is one thing and implementing is another, which can be learnt only through personal experience and that is after film school. You were a part of the Life of Pi visual effects crew. How did that happen? After film school, I used to conduct workshops on filmmaking along with Pawan Kumar and other friends at this place called Spaces in Chennai, right next to the beach. One day, these two Asian looking men came and sat in my class. I was thinking one of these guys is so familiar. I was engrossed in taking my class and I noticed him smiling at me. They stayed for around 15 minutes and then walked out. After the class, the owner of Spaces asked if I recognised the guy who had walked into my class, and I was like, “Was it Ang Lee? !” It was one of the bizarre moments of my life. It was crazy! He asked me if I wanted to work in the crew of Life of Pi which I obviously didn’t refuse. So, I sent my resume and a few weeks later Susan (the visual effects supervisor of Life of Pi) called me from Hollywood and I was on board with the on-the-set visual effects team. How was the experience working with the crew of Life of Pi? Life of Pi gave me this international exposure where I was working with one of the best in the world, Bill Westenhofer of Rhythm and Hues Studios, Claudio Miranda, who was the cinematographer of the film, the man behind Benjamin Button and so many other big Hollywood films, and Ang Lee, of course. It was an amazing experience! My part in the film was very technical, we had to take care of the green mat, sampling, some help at the post production. It was very technical, very intense, and I learnt a lot on the job. I loved the professionalism; everyone knew what they had to do on the sets. Is Lucia your first film as director of photography? No, I’ve done two films before--Rabi Kisku’s Software Hardware Kya Yaaron, a very small, independent film that released this June, and another independent film called Joint Trip by Siddhanth K S. It’s about two women facing a mid-life crisis who make a trip from Bangalore to Gokharna where they discover themselves all over again. That is doing the festival rounds. How did you meet Pawan Kumar, and tell us about Audience Films. 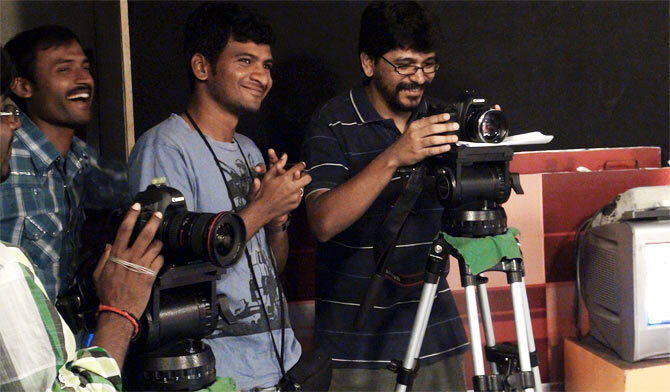 Pawan, Rabi Kisku and I conducted filmmaking workshops in Bangalore in 2008. I used to take care of cinematography, Ravi directing, and Pawan took care of the editing. So, I knew Pawan from then. I worked as an assistant cameraman on one film that Pawan worked in called Pancharangi by Yograj Bhat. Audience Films is completely Pawan’s idea. It’s his brain child. I joined the production of Lucia in April 2012, after Pawan got funding for it. What were the challenges of filming Lucia? The first time Pawan narrated the script in April 2012 and told me about the budget being Rs 51 lakh, I thought he was mad! He hired me because he thought I was good with digital and I had shot two films with Canon 5D. But the scale of Lucia was so big that I thought I could never pull this off. The general perception is that you must have a big camera, an Arri Alexa or Arri 435, and with the budget that we had, we could not have afforded that. So we had to make do with Canon 5D DSLR, which has a lot of limitations. We decided to buy it as that would allow us to go and shoot whenever we wanted. We wanted to make Lucia, very edgy, very raw and very realistic. You were filming an independent film with a small DSLR camera and were trying to achieve the quality of a big film. How did you achieve the technical finesse? We came across this incredible software from the internet called Technicolor Cine Style. Generally what happens is when you shoot a film on Canon 5D, it compresses the video into a digital format. The image is already compressed and you cannot do much of colour grading in the post production. Cine Style captures this image in raw format, almost equivalent to what film does. That way, we could get the image so beautiful that I could play around in the post production so much that we achieved a very good quality. That was my biggest compliment, coming as it did from Technicolor. They have chronicled Lucia on their website. Also, focus is a big issue with Canon 5D. We used this software called Magic Lantern which is a very underground software. Your cameras could get spoilt because of that, but we took up the challenge and achieved it and got the focus right. We used a lot of technical software that is freely available on the internet. Kannada cinema is considered to be lagging behind other regional cinema in India, technically and otherwise. I think every industry is going through a massive changeover now with regard to content and style. I think Pawan is a trailblazer when it comes to Kannada cinema. Every industry has someone who marks that change, like Anurag Kashyap did in Hindi. Now, Tamil cinema is very rich in content with a lot of young people like Nallan Kumaraswamy, Karthik Subbaraj, Balaji and others. I think Kannada is the next. Pawan brought the urban audience back to the theatres with his debut film Lifu Ishtene. A lot of young filmmakers have started making urban Kannada films like Simplagondu Love Story that again made an impact. What was it like working with Pawan for Lucia? Pawan is a good friend and we worked very closely, so much so that even his wife was insecure about me at one point! (laughs). I think the filmmaker and the cinematographer must have a very strong connection for the film to look great. There are three to four different stories that happen in Lucia and each one has to have a distinct tone and look. We did a lot of research individually and shared it. We discussed the costumes. Locations play a very important role in the film. We shot every scene in real locations. Where did you shoot? Lucia is primarily an urban film? 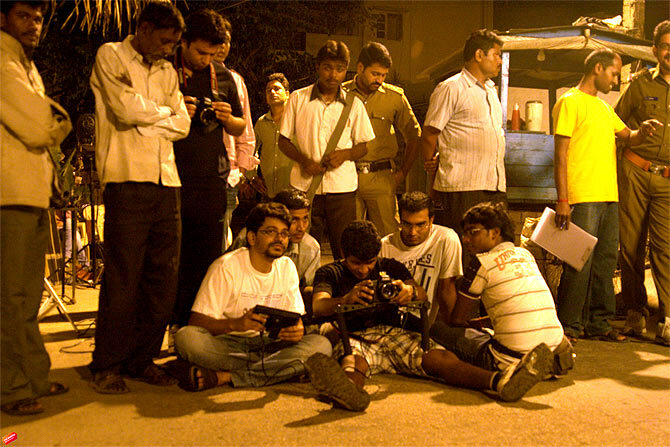 Yes, it is, so we shot extensively in Bangalore city and apart from that, two or three days in Gokharna. The protagonist is an usher at a small theatre. So, we shot at this beautiful old theatre in Bangalore that was painted with absolutely crazy colours. This was a theatre that actually played B grade films and we shot there for about 10-15 days. It was crazy (laughs). Every location we shot in brought its own character and personality to the film. That is why it looks so beautiful, authentic and real and has so much vibrancy. Art director Shashidhara Adapa is a big name. He has worked with the likes of Aamir Khan, Rajeev Menon and recently, Mani Ratnam. How was it working with him? I was really scared to work with him. He is a very sweet and patient man. He would drop by at the locations and give us inputs on how we could use the location to the best advantage. We also had this great graffiti artist, Badal Nanjundaswamy. He did a lot of work in this film after taking inputs from Shashidar Sir. Badal and I would co-ordinate to get the right kind of look. He has this huge godown to which he gave us free access to use whatever we wanted as property for the film. Right now I am working on Nandini JS’s Tamil film, Kolai Nokku Paarvai.